What running from an AI-created monster can teach us about the meaning of life. “What if I’m a brain in a vat, and all life is a simulation?” “How do I know for sure that other people aren’t just very convincing robots or machines?” “Can AI develop consciousness, and how should we relate to them if they do (or already have)?” Anyone who has taken an Introduction to Philosophy class or has browsed philosophy forums online has probably encountered these kinds of “Big Questions.” These kinds of questions can be enjoyable to talk through with friends and are often a great way to introduce people to the kinds of questions philosophy asks, but outside of casual conversations and the first 10 minutes of seminars, they tend to elicit more eye-rolls than serious attention from more advanced students and scholars – and for good reason. While their abstraction from historical context allows for pleasantly broad and free-floating discussions, they’re less helpful for understanding the real world where power, politics, and history play a big role in shaping how we answer these questions and how urgent they seem to us. While there’s nothing wrong with tackling some Big Question late at night with some friends or at the beginning of a group discussion, it’s important to remember that some people, often marginalized ones, don’t get the luxury of setting those questions aside at the end of the night or when class is over. And yet, it’s not quite that easy to dismiss Big Questions. Even if they’re too broad and need to be broken down into smaller parts, contextualized, and historicized, questions like “what is life?” are still really important questions. What, then, might be the “proper” way to ask and answer these questions? What level of seriousness, what kind of context, and what mixture of people, time, distance, power, and knowledge would be necessary to answer these questions well? Do we need some distance from them in order to think about them well, or do we need to feel them and be subject to them materially and socially in order to understand the real stakes of those questions? In short, if the typical way of thinking about “Big Questions” seems too frivolous or trivial, how can we consider them in ways that are meaningful and serious? I believe that Frictional Games’ 2016 horror game SOMA is driven, at least in part, by an attempt to find a way to pose Big Questions well. SOMA is a first-person horror game in which you explore an underwater science and research station called PATHOS-II, a stations which seems to be the last refuge of humanity after some sort of catastrophic meteoric event above the water. Throughout the game, you’re presented with choices, conversations, and texts all reflecting on how we should understand and define life after the techno-utopian dream of brain-scanning and sentient AI is achieved. Unlike other first-person games where “shooting” is a main verb, the player character is powerless to act aggressively and must rely on evasion, distraction, and hiding to get past the monstrous creatures roaming around PATHOS-II. When it came out, SOMA inspired a lot of comparisons to Frictional Games’ previous release, Amnesia: The Dark Descent, and for good reason. Many of the gameplay mechanics come straight from this previous game: opening and closing doors with mouse gestures (making that process slow, intentional, and more difficult), attracting monsters when looking directly at them, and being forced to manage sound and light so as not to attract attention to yourself. But while these mechanics were very effective in producing a sense of powerlessness and pervasive fear in Amnesia, many critics felt that they faired less well in SOMA. Some of the monster-evasion sections of SOMA were so difficult that they kept many players from progressing to the next computer terminal, hidden stash of documents, or or dialog-beat which held clues about what happened on PATHOS-II. For this reason, I think that some critics were even more inclined to evaluate SOMA with a Story/Gameplay schema in which “Story” signified the slower-paced, more textual elements of the game and “Gameplay” stood-in for all the heart-pounding, terrifying monster-evasion sequences. Armed with this schema, some critics made arguments like “it’s a shame the Gameplay got in the way of the Story, as I really liked the Story and thought it was really well written!” Implicit in arguments like these is the idea that the Story is the bearer of artistic and symbolic meaning, and therefore the proper object of interpretation, while the Gameplay is there to give you that emotional/psychological/physiological rush of horror, but isn’t really “saying anything,” or at the very least, it isn’t saying as much as the Story. In short, the Story pursued some interesting ideas, but you were pursued too much during the Gameplay. After having played the game this summer (2018) on “Safe Mode,” a mode added later into the game in which the monsters can’t really kill you, I was left feeling conflicted about SOMA’s critical legacy. I wondered if the Gameplay sections were really so drastically disconnected from those Big Questions that SOMA wanted to pose in the course of gameplay. And the more I thought about better ways to pose big but important philosophical questions, the more I saw in SOMA’s approach to them. As I mentioned before, one of the vectors that separates different approaches to Big Questions is distance. By distance, I mean proximity to the consequences of posing and answering any Big Question. 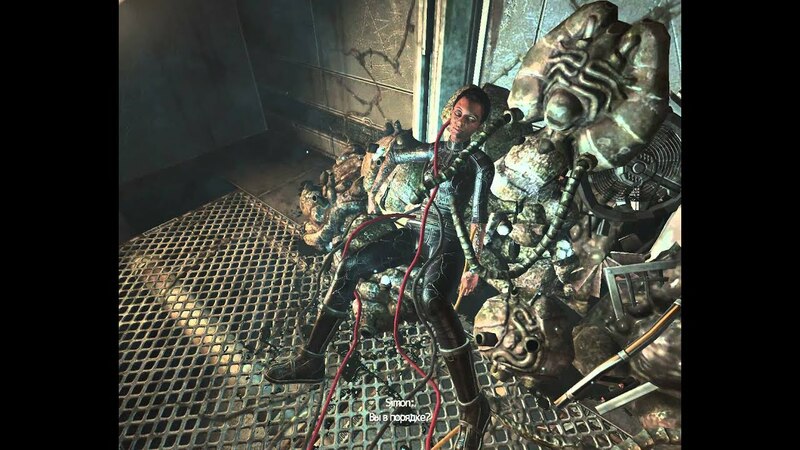 SOMA just so happens to be full of moments that illustrate different kinds of “distance.” The player spends a large portion of the game (60 – 70%) trying to navigate spaces filled with monsters. Because of the game’s excellent sound and environment design, which does a lot of work in creating the experience of horror, these moments make the question of “What is life?” feel immediate and existential. When you’re being chased by a howling, stomping monster and a rapidly-accelerating heartbeat is playing in your ears, the urge to run and hide is the only answer to the question “What is life?” In these moments, there is no time for musing about the subtleties of any philosophical question, but you do feel that it is desperately important to act and save your (player character’s) life. But there are other moments in the game in which the player is given a bit more time and space to think. These slower moments are often more “textual,” and consist of conversations, interactions, and statements that are most obviously laden with symbolic, artistic, and philosophical content. Chief among the more “textual” moments of SOMA are the conversations between the player-character Simon and an AI scan of a member of the PATHOS-II crew named Catherine. It’s during these conversations where SOMA poses its Big Questions explicitly. There is often quite heated debate between Simon and Catherine about whether or not it’s right to kill a robot, erase all copies of an AI, or make copies of oneself (and then what to do with the copy remaining). But importantly, these moments always occur when the player character is not immediately threatened by roaming monsters – you never need to fear for your “life” when talking with Catherine, even if someone (or something) else’s life is at stake. Of course, at a certain level, these alternating modes of play are just good game design. Horror games, just like horror films, need to give their players emotional “breaks” from the intense, immediate feeling of fear (even if only to scare them again later). One can think about these two modes from a technical perspective and resolve them into the necessary emotional ebb and flow required by the horror genre. But I think we miss something with this technique-centered understanding. While it wants to give the player an opportunity to think about some of its themes in an explicit way, SOMA also knows how easy it can be to get too comfortable in its safe rooms and well-lit corridors, just as one can get too comfortable playing armchair-philosopher. Those terrifying moments in SOMA of hiding and running from monsters, the frantic, paranoid moments, are there to rip you out of your contemplative mode and remind you that you are mortal and these Big Questions about life (and death) matter urgently. But by making space in the game for thinking about and feeling the importance of Big Questions, SOMA, like other great works of art, preserves the emotional and theoretical tensions of its most important questions without resolving them. It forces us to look, even when we don’t want to, while reminding us that looking very well could spell our doom. Derek Price produces and co-hosts the Scholars At Play podcast, and is also a PhD candidate in German Studies and Media Studies at Vanderbilt University. His dissertation project "Playing Economy: Leisure and Labor in German Gaming Cultures" addresses the convergence of labor, leisure, work, and play in and around German video games and board games.